Operation : Get out of the house!! 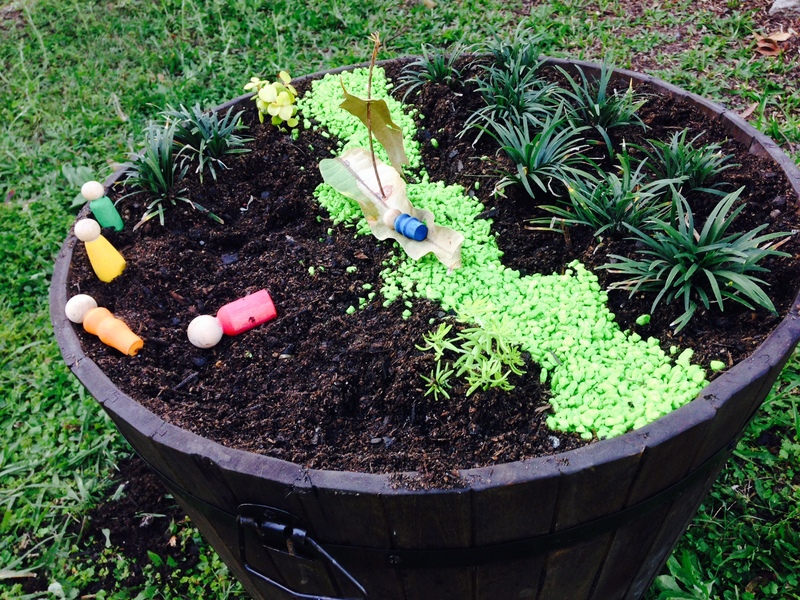 Stage 1 : Our new fairy/gnome garden! Master 4.5 was getting reliant on playing inside, which is okay when he is drawing but not as great for his brain development spending hours in his room playing with Woolworths cards or plastic toys. So we have started ‘forest adventures’ to collect materials, visited Pinterest for inspiration and started reading the Snugglepot & Cuddlepie books to see what it is like to live in nature. Our gnome house is still under construction along with other stick projects! Have you got a kid that gets stuck indoors? 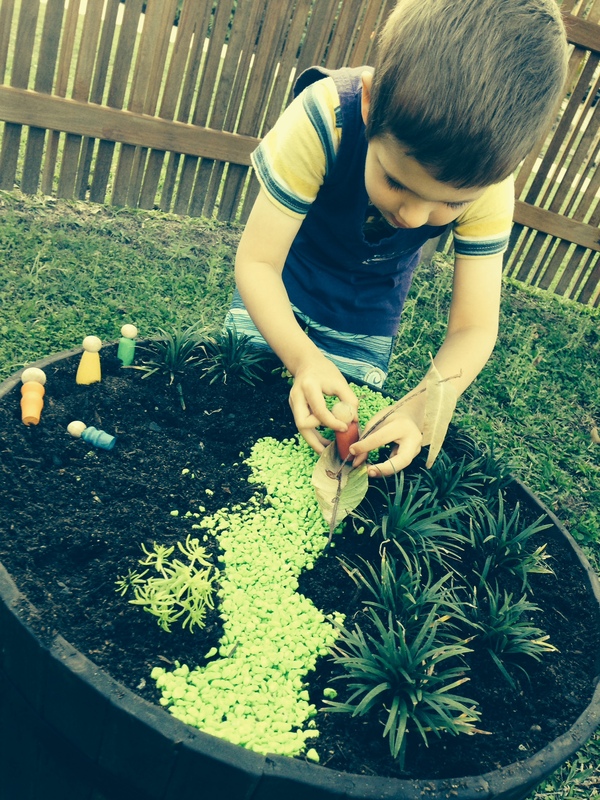 Could you fathom organizing a little play garden for your children? Cool parents = relaxed kids when it comes to art, craft & all the ‘messy’ play. So I commissioned my husband into making our own outdoors creation table. 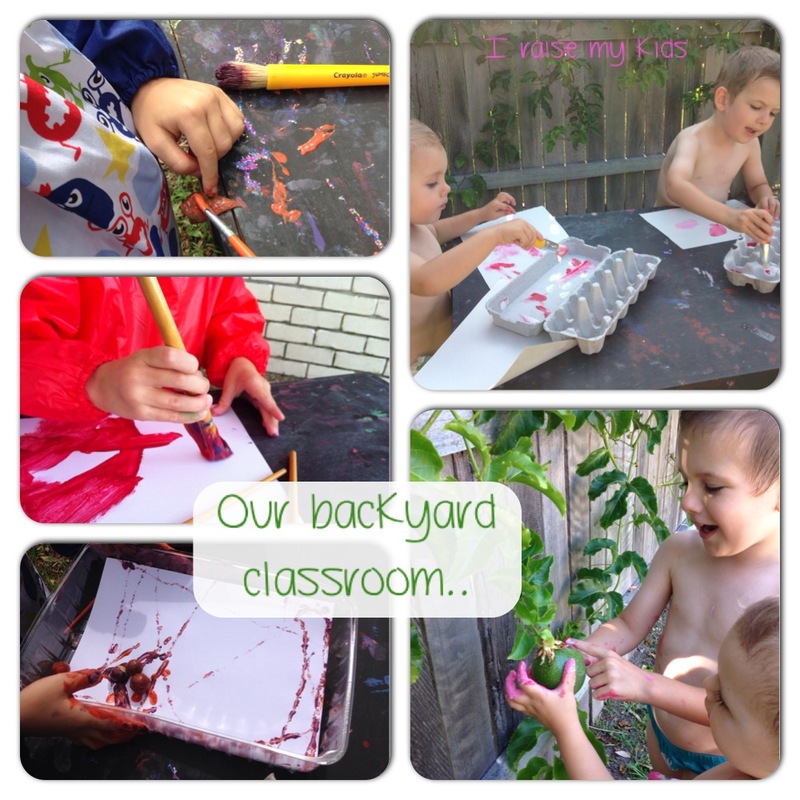 Free to be loved and used JUST for creating, having fun, sensory exploration and learning! We take it to all corners of our yard for different inspiration from a different setting. We don’t clean it so we don’t worry about mess. And we chose to use blackboard paint so we can love our table with chalk too.. But yes I’ve still had some crazy sessions with little painted hands making it to the house. I guess that’s what you get for painting with a 1 & 3yo. More on that later! For now, let me know if you have a wonderful creation table! OR if your husband has the skills to whip up a basic table… Weekend project?? It’s time to entertain yourselves..it’s called ‘free play’! Do your schedule time in your children’s day as ‘free play’? Do you let your kids get bored (& let them find their own games)? – make yourself look BUSY! too busy to get involved in case the kids try to include you. Here is a link about the importance of free play by Dr Helen Street. ‘Why over scheduling kids is robbing them of a life worth living’. Worth a read! 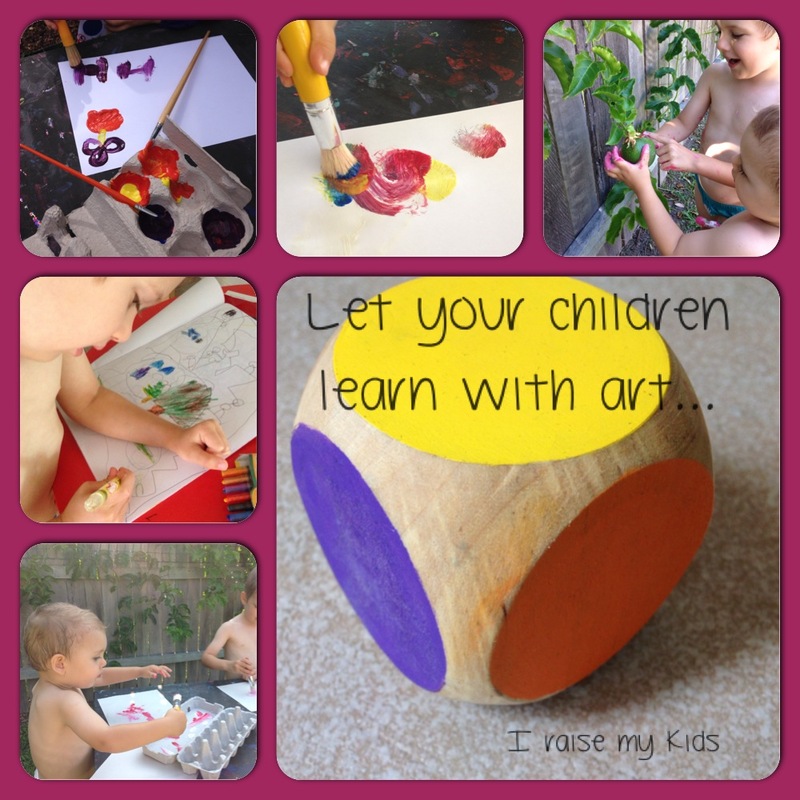 Okay, so who encourages painting, drawing or other creative outlets within their children? I am going to try and inspire as many of you as possible to see beyond the mess and learn about the benefits of providing some art materials and all…owing your child to express themselves, receive sensory benefits and not to mention cultivating mindfulness. We don’t have time for fancy projects, we just get in there and do art for art’s sake. So who is with me….or open to becoming more inspired to bringing art into their homes…? Becoming a play engineer – tip #7. 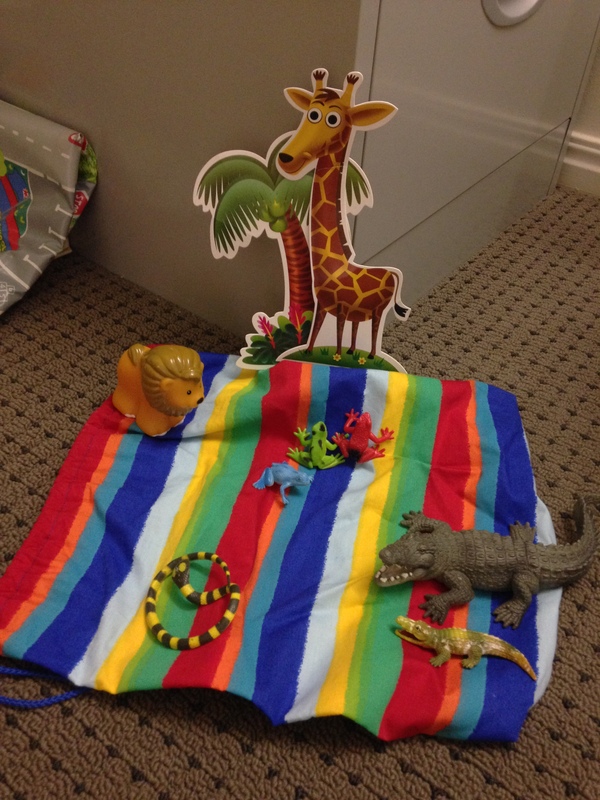 Kids play the best when toys are set up, ‘inviting’ them to play. Once your children have enough language to play imaginatively, you can really invite them to play with a weekly theme throughout the house. Whilst it takes that bit longer to set up, you will be sure to get many more play hours from your little ones. So! What will your theme be? It didn’t take me long to pick animals + hospital/doctors/vets. Master nearly4 loves animals and he and Master nearly 2 are both into doctors at the moment. 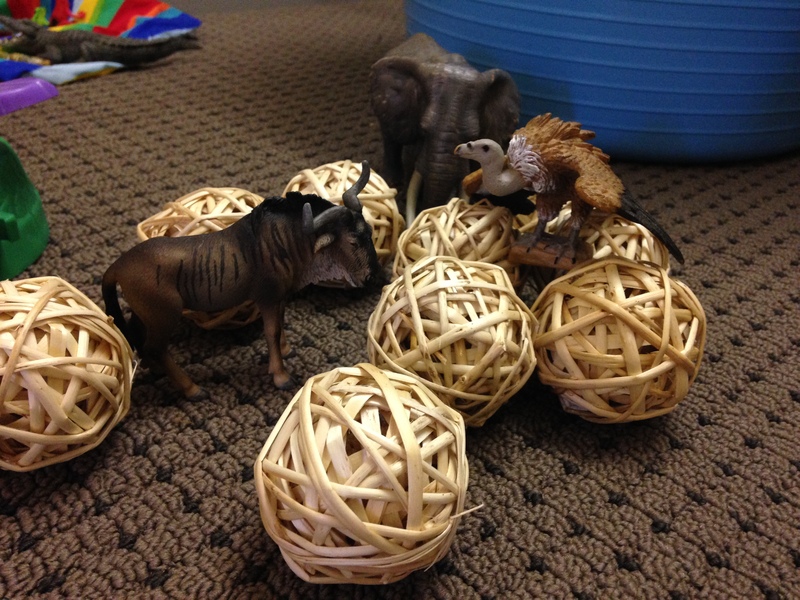 And of course, an animal theme is not too unfamiliar for Master nearly2. 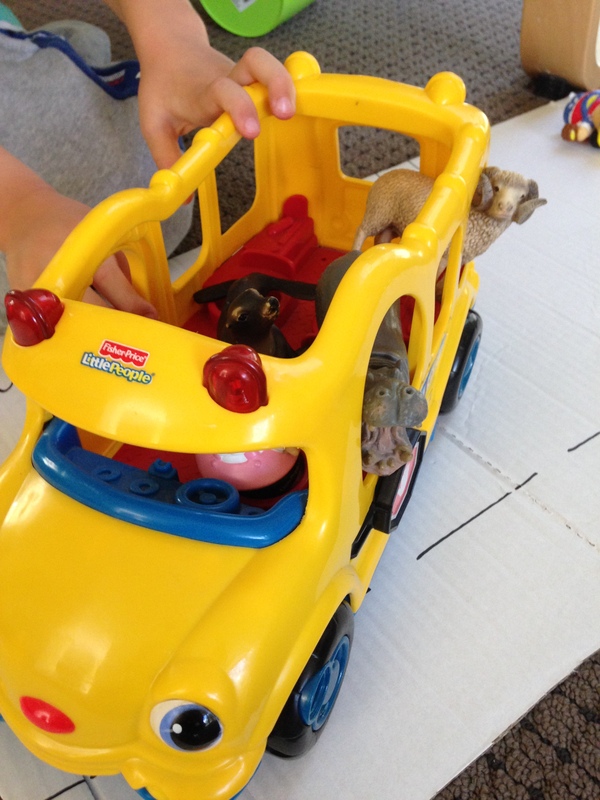 Pretend play – your child’s occupation will give you more information on the different skills pretend play consists of. 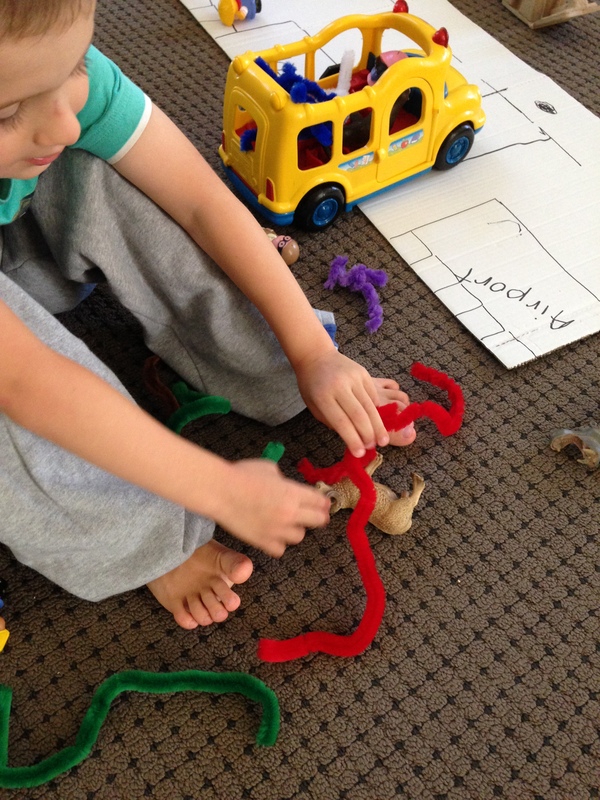 Language means play will give you more information on the development of play and how language goes hand in hand. This is where you think about ALL the items in your house that might come under this theme. 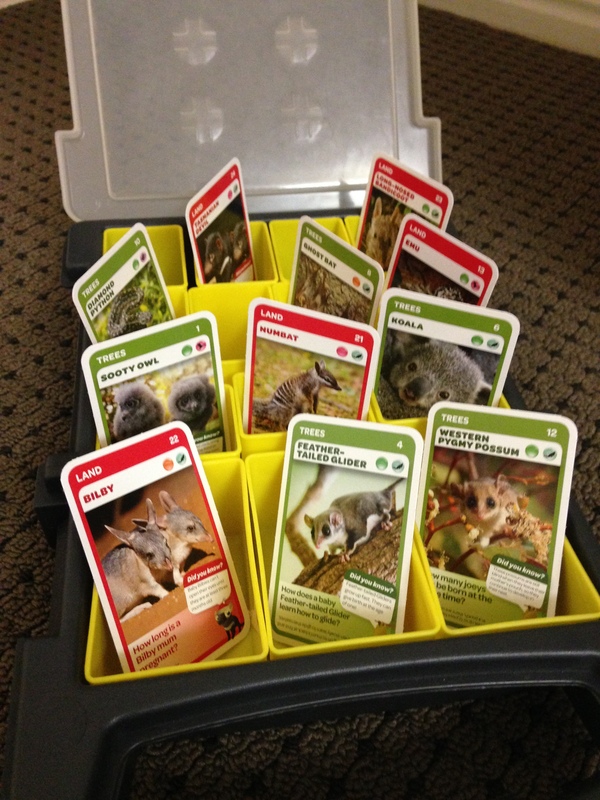 So I went for everything animal, from our Aussie Animal cards to our baby dinosaurs to our farm animals. And then you add in everyday items that would be useful props for the scenes, such as ribbons for bandages, cotton wool for the babies, wooden dish rack for the operating table/sick bay and pipe cleaners for their own imagination. And then you can drag out any other props that might be useful, such as adding our cardboard box bus stop/airport and our Little People plane and bus for transporting the sick/recovered animals between the hospital and the wild. Because I had so many sets of toys out, I created mini scenes in different rooms of the house. The next thing to do was to introduce the boys to each scene and promote some different play actions, to get them started. I also assigned doctor and nurse roles (big brother and little brother roles really!). 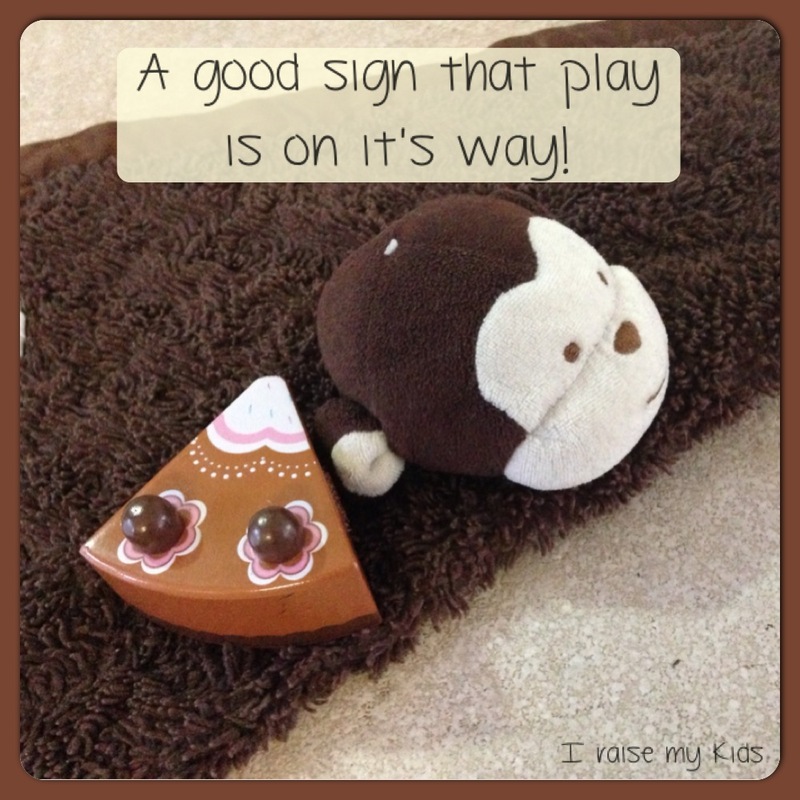 And then you sit back (or race to the kitchen or clothesline) and reap the benefits of excited play! Here are some of the benefits..
You can easily give many hints at new play actions. I have used: ‘go and check if bull’s fever has gone’, ‘I think panda needs his bath now’, ‘giraffe might be ready to go back into the wild, but before you put him on the plane, remember to check his heartbeat and temperature’, ‘the baby dinosaurs will all need a feed and why don’t you ask your brother to help you take them back to the wild in the bus’, ‘it might be time to help bull to get to sleep, it’s hard to settle when you have a fever’, ‘nearly your bedtime, go and give the night doctors their handover, what they will need to do while you are sleeping’…. I have even rung their pretend phone (an otoscope) as an anonymous caller letting them know of a sick hippo out in the wild. Next thing they are receiving calls from each other! Here are some photos to share with you all! 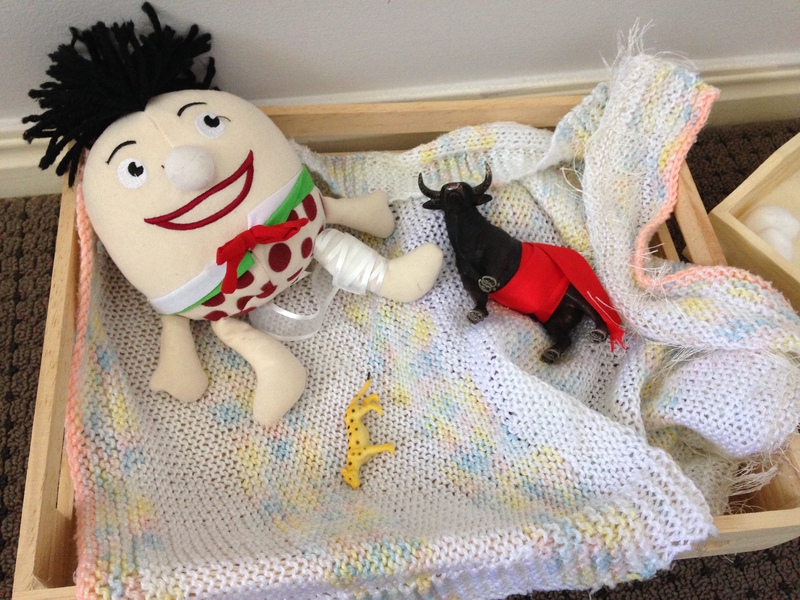 broken legs, cut on the tummy, the flu…. 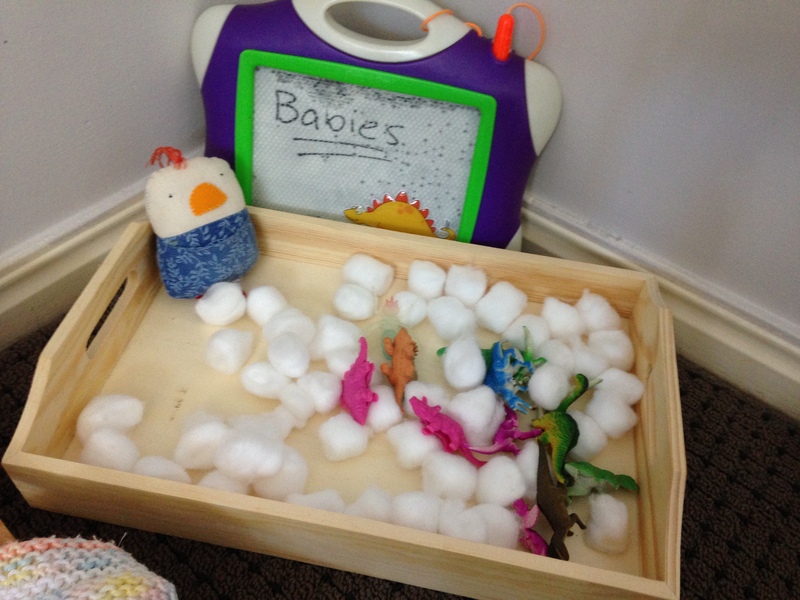 Special Care Nursery.. for dinosaur babies. Also like special care where Master nearly4 spent a few weeks..
You can find language in your backyard! 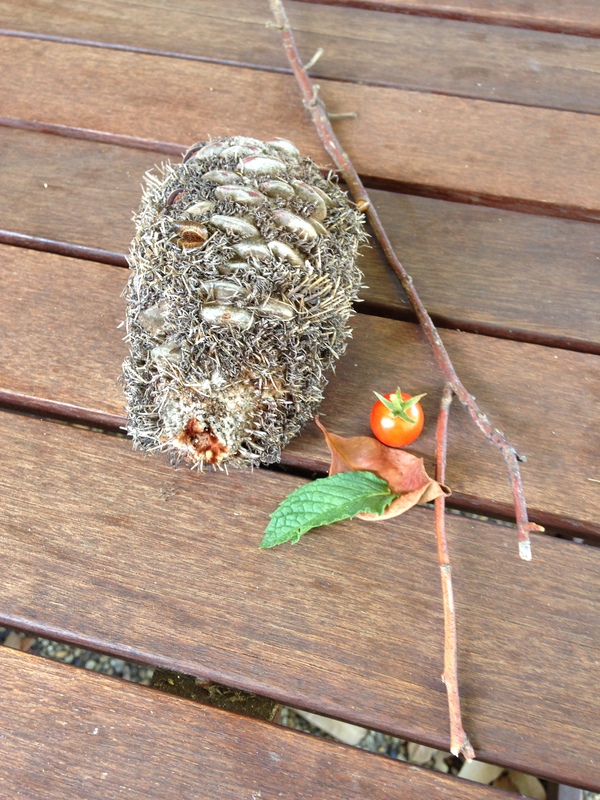 Are you children interested in nature? Could they do with less screen time? Does your child love ‘treasure hunts’ or drawing? Do you need an activity that you can direct from the kitchen? 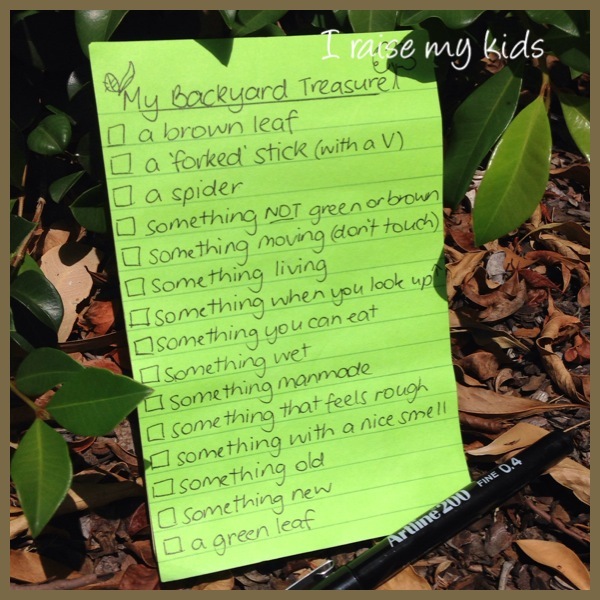 This activity promotes language-learning, getting outdoors, drawing skills and if need be, an opportunity for you to get the kids out from under your feet! 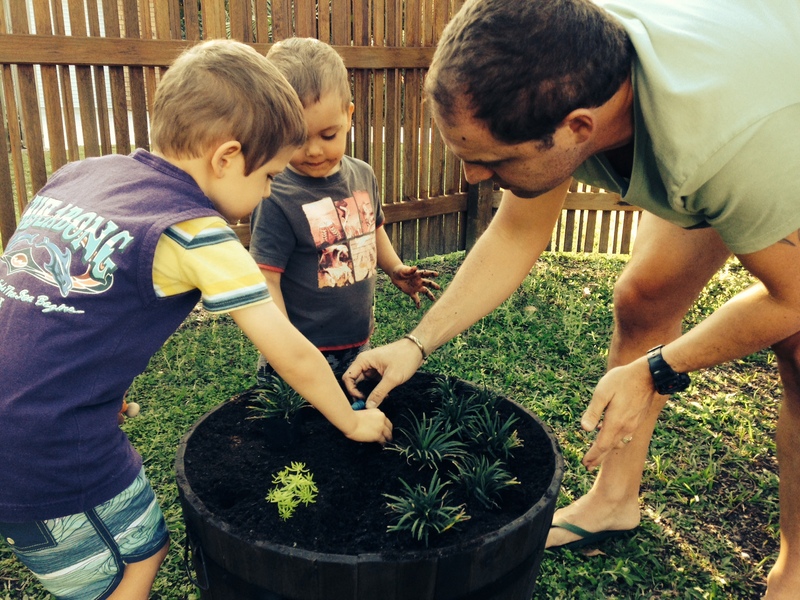 Of course you might find yourself out in the garden with your kids which is even better, providing you with fresh air and an opportunity to get to know your backyard better too! 1. Present your child with a special ‘notebook and artist pen’ and tell them they are going to find some treasures in the backyard. They will need to listen up closely! 2. Challenge your child to find an example of each treasure description you provide (see list below for each treasure description). Note, each description includes a word that the child must understand to find the correct item, great for language development. You may need to discuss what the descriptive words mean before they go hunting. Just a sample of ideas! 3. The child must go and draw what they find, not touch. This is to avoid little hands dealing with spiders and other not-so-safe delights in the garden. Older kids might be fine to decide what they pick/bring back, but the main aim is for the child to then draw the treasure. This is great practice for drawing what they see with the motivation of having a collection of drawings of their findings. 4. The child brings their notepad back to show you the drawing and to check if it fits the treasure description. This is a great time to further promote your child’s language skills by discussing if the item fits the description and how they decided they would pick that particular item. If it does not fit the description, you may need to provide some examples of the descriptive word, for example ‘wet means there might be water on it, it’s not dry‘). 5. Give the next treasure description. For older kids, you could provide the written list, as above and let them go out and take on the task themselves. This activity can then be repeated again and again, encouraging your child to find different items to match the descriptions. Or think up a list of new descriptions! Don’t forget even words like ‘NOT’ are descriptive words and are important for a child to understand. A child may not understand the concept of ‘something new’ in the garden, so you may have to explain how ‘new’ relates to the garden. If your child is not old enough for understanding words such as ‘man made’, think about some other descriptions you could add. Here are just a few ideas to get you started – more descriptors of how items feel, look, colours, NOT….., quantity. Remember the more you play with the same descriptions, the more your child has to think outside the box to find something different. And if your child really does like to bring back a collection for you, why not save these in a basket and leave out for later imaginative play! Let me know how your children get on with this fun yet educational activity! 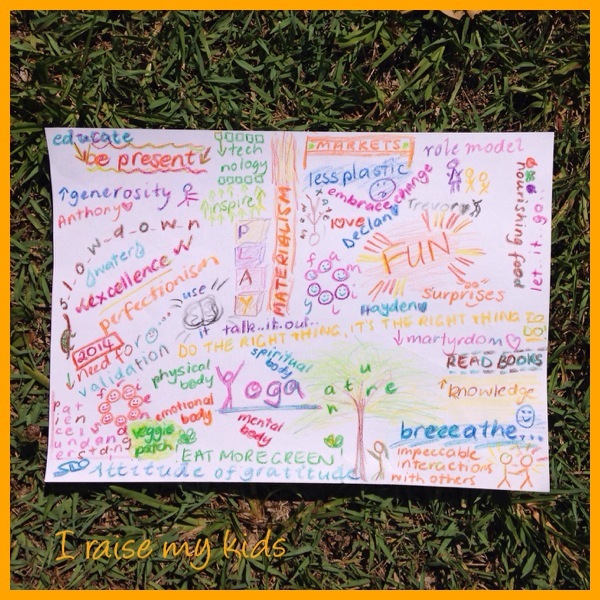 I Raise My Kids is also at Facebook and Google+! Is there anything you would change about the way you parent? Is there something you wish to do for yourself that would make you an even better parent? It’s not too late to make changes! In the name of inspiring others to LIVE LIFE in order to help your kids LIVE LIFE, I’m putting myself out there & sharing the piece of paper I went to town on with (hopefully) all of the things that matter to me PLUS 2014 ‘goals’ & ‘aspirations’ (I feel these terms mean business more than ‘new year’s resolutions’). this is me on paper! what will the kids think? I’ve never done this before & have been surprised with the clarity it’s given me of what I aim to be, grow towards and model for my kids. It’s also helped to talk about this TOGETHER with my husband to increase unity, motivation and direction. And of course, in good time, I’ll slowly be working away at defining each of the words in age-appropriate language to the kids & reminding them of how I am achieving these goals.